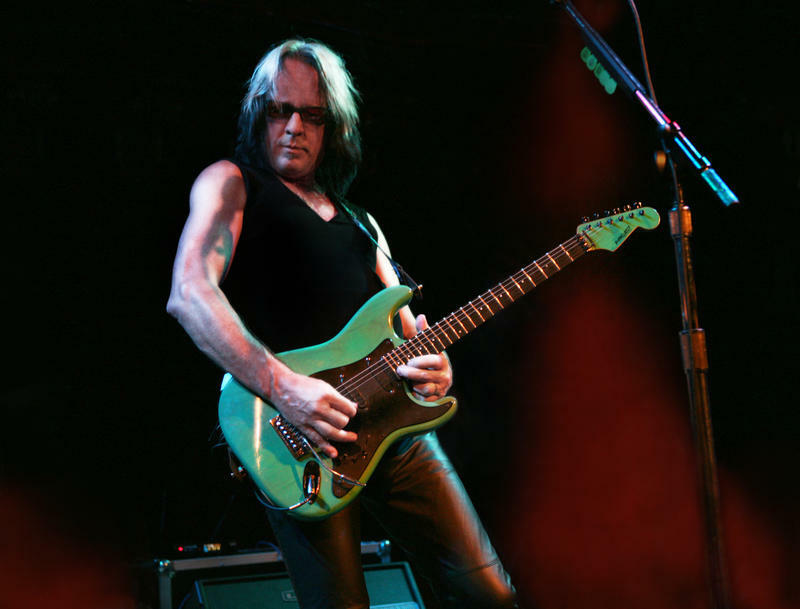 So, what does An Unpredictable Evening With Todd Rundgren mean? "It means we don't go on stage with a formal setlist," the Philadelphia native explains. Instead, the group works with a master list of nearly 70 songs. "I tell the band which song is first. Then, after that, I just start calling things out in no particular order. I try to sense the mood of the band and my mood and the mood of the audience and follow that along until two hours are done." With a body of work that stretches back more than 50 years and features turns into production credits and work with the band Utopia, listeners might expect that Rundgren isn't keen on delivering a greatest hits set. It might be said that it's so far from his mind that he actually isn't drawing that heavily from his own discography for this current tour. "My songs make up probably less than half the list of what we're playing," he says. "We just keep adding to the list every time I hear a song that I haven't heard in a while or that doesn't get played anymore but that I think has some importance to the audience. We play anything from Tony Bennett hits from the ‘50s to Weezer's ‘Hash Pipe' and pretty much anything in between. It's not simply my music, it's all kinds of music." The veteran musician characterizes the initial idea for the tour as "a throwaway concept," adding that it came to him during a series of gigs he was playing in New York City stretched across a little more than week. "I didn't have a formal tour planned," he recalls. "I wasn't promoting a record. I figured I could try a greatest hits set but those run out very quickly. I've always done things that run outside my own material," he adds, pointing to his work on a variety of tribute records and his own albums such as the covers heard on his 1976 LP Faithful. "I just ran with that concept, expanded it into material that I found interesting and that I knew the band would know about," he says. "Over the course of the week, we just started adding new songs. Every day we would add one or two more, depending on what had popped into my head during the day until eventually, we had built up this catalog of material that was founded in my own repertoire but ultimately has expanded to include all kinds of material." Rundgren's current band features players who have mostly accompanied him across the last quarter century. Guitarist Jesse Gress is a longtime cohort as is drummer Prairie Prince; bassist Kasim Sultan was a member of Rundgren's Utopia. The four of them formed the nucleus of The New Cars, alongside original Cars keyboardist Greg Hawkes, who stepped into Rundgren's solo band when his predecessor, John Ferenzik, retired from touring. Rundgren spoke with KMUW about his current touring status as well as his role as a musical and technological innovator. It's very hard, I suppose, to have a lifelong career as a musician. Especially in pop music because you get in when a certain style of music is hot and you play that style of music and then the audience moves on to something else. Unless you're adaptable enough, that's more or less the end of the active part of your career. A lot of people will retire, find something else to do. It used to be that you would go and become an A&R man at the record label after the sales of your own records would cease. I always had the opportunity to explore a little more than most artists did because I was also a record producer and I was doing quite well at that. When it came time to make my own records, I never thought about establishing a style or repeating something that I had done before. Every record was a new opportunity for me to explore and to learn things and to take the audience along on odyssey of discovery, every time I would do a new record. Eventually, that's what my audience came to assume: That each record would be different from the previous one, it might be stylistically radically different. It might even be something old, like when we recorded a bunch of my material in a bossa nova style in the ‘90s on With A Twist. I don't mentally live, nor do I financially live, under the same restrictions—or, historically have not—as most artists. Since the record business has changed a lot and production isn't the same business it used to be, I've substituted more and more live performance. I do depend on my own music for my livelihood. For the most part, I'm performing it and when I perform it, I can perform anything I want. One of the things that you did that was maybe unexpected was a record called A Capella. What memories do you have of making that album? I always carried around a series of concepts that I wanted to explore. Some I would get to and some I never did. At one point I thought I wanted to write a pop album for marching band. I had always toyed with the idea of doing an a capella album in which the voice wasn't traditional. It wasn't always a regular harmony, the voice would provide more non-traditional sounds as well. The sounds of other instruments. My expertise in the studio and the kind of tools I had to work with helped. It was the first time I seriously used a sampler on a record. That was a relatively new device at the time. Until that particular device became available, I didn't seriously consider the concept. But once the technology came around, then it made it easier for me to entertain such a thing. It's an interesting combination of concept and technology. A lot of it became less uncommon later when people started doing beatbox things with real close micing on the mouth. That's what I was doing to make drum sounds at the time. That was fun. The tour that we did with it was also quite fun because we could go to a restaurant and break into a song and get our meal bought for us! [Laughs.] Or get a free round of drinks because we could perform any place we went. Do I remember this correctly that you were one of the first people to deal with CD-ROM that you had a CD-ROM that essentially allowed listeners to remix the album or elements of the album? That was called No World Order. The album came out in a conventional format, in several versions, because it was designed so that you were able to look at it as a bunch of musical building blocks as opposed to songs. We built a technology that allowed you to essentially navigate those musical bits and put them together in all different kinds of ways in real time. It was first released on CD-i, a format that didn't last very long. It was proprietary to Phillips. Then, the CD-ROM, then there was CD format, Enhanced CDs, that looked like a music CD but if you put in a computer it also had data on it. After No World Order, the next album I did was called The Individualist . On that one we did this mixed media thing where you could put it in your CD player and it sounded just like a regular CD but if you put it in your computer, there was something that went along with every song on the record, it would either be some sort of visual presentation, or a game you could play or just another way of looking at the songs. At the end of the ‘80s and into the ‘90s, I started getting pretty aggressive with how technology was applied to music. That gave me insights into where the industry, in general, was going. When I invented that interactive music concept I was approached by the Time-Warner cable network who was going an interactive TV experiment in Orlando, Florida. They wanted me to flesh the system out so that I could be used in an interactive TV format and within this demonstration community figure out the degree to which people wanted on-demand music services in their house. Because, of course, that was when music was still all commoditized. You bought CDs or LPs or whatever. The on-demand system required that music be put on servers and sent down the wires into peoples' houses. We went all five major labels and not a single one would entertain the idea at all! Within two years there was a thing called Napster. [Laughs.] And within five years the old industry model started to collapse. So the technology and my continual involvement within it actually gave me insight into where the industry was going so that I could take preemptive measures to get out of the way when everything started to blow up. It must something of an exciting time for you. When you began your career you would into a formal studio and there would be a big board there. Now you can essentially do an entire album on a laptop. Do you make an effort to keep up with the technology down to this moment? I have to a certain extent. A Wizard, A True Star was the first time that I had recorded in a studio that I had built for myself. For the most part, unless I was doing a production for someone else that required more resources or if I had to go away from home to do the production, I would do everything in my own studios and have to maintain them and understand how the equipment worked. But having said that, I didn't always go in a straight line the same way that a major studio would have to do. A major studio would be obligated to go digital and spend what at the time was ridiculous: Hundreds of thousands of dollars just to buy the machines. In the very early days it was difficult just to find a place that had two digital machines so that you could edit your album together. I didn't really go digital until it became more affordable and more accessible. I didn't go ProTools, the full digital using of the computer for everything right away because it was expensive and I was still able to make records with equipment that I had. Eventually, I realized that it would be more convenient for me to have something like a computer-based system because I could move it around and enough people had the same sort of system so that you could go to a studio and expect to find it there. Eventually, I moved to ProTools and now, essentially, I've moved beyond ProTools. Now I use something that doesn't require any special hardware. You mentioned concepts earlier and I wanted to ask: I've heard many women cover your songs and it occurs to me that the songs adapt well to the female voice. Have you thought about doing an album specifically for female vocalists? It's actually been suggested. In particular, trying to do some sort of collaborative, duets album I guess with female artists. As I mentioned, I don't do as much production because the way these things are done has changed. If you look at a popular record nowadays, even a popular song, you might see five songwriters and three producers on one record. So that whole thing, the intimate relationship between the producer and the artist that was based on the album format has somewhat disintegrated at this point. So, the likelihood of doing a song or a couple of songs with a female artist that's always possible. Doing a whole record? We've tried to pursue that. We've pinged several female artists to see if they're interested in doing that kind of thing because the label thought it would be an interesting concept. People don't think that way anymore, for the most part. They don't think in terms of doing a whole record because it's difficult to market albums. Listeners have decided that they want to consume the music in a more piecemeal manner. Very rarely do they sit down and listen to an entire album all the way through like in the old days. They tend to pick and choose. I know that I don't buy records anymore. I have a Napster subscription and an Apple Music subscription and I listen to the music that I want. Sometimes I download the whole record and sometimes I just check out a song or two. So, I guess my listening habits have conformed to the way that everyone else's have because that's the way that music gets presented nowadays. But I have no aversion to what you mentioned. I will continue to collaborate with female artists, I don't know that it will be something as large as an entire album.